You must be a member of the Milan Japanese Culture Group to attend this activity. Would you like to join this group? 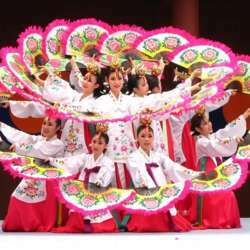 Come and see the festival dedicated to Asia: culture, typical food, religions, martial arts, traditional ceremonies, photo exhibitions, health, workshops, concerts, dance, local products. There will be different stages with continuous shows. The detailed program is fixed day by day but you can see many interesting thinks. Regarding Japan: traditional music and singers, magic shows, jugglers, painting demonstration, tea ceremony, kimono dressing, ikebana, bonsai, suiseki, calligraphy etc. Then there will be the reproduction of a japanese village, of a zen temple and a Dojo (place for martial arts training). And exhibition of katana swords, torii (temple gates), temple bells, samurai armors, origami, vases, fans, dolls etc. But a big space is reserved also to other countries (China, India, Korea, Mongolia, Tibet, Vietnam, Thailandia, Sri Lanka etc) with great shows, food, commercial stands etc.